Chinese telecoms giant Huawei on Sunday unveiled a phone with a folding screen, just four days after rival Samsung became the first major handset maker to offer the feature. 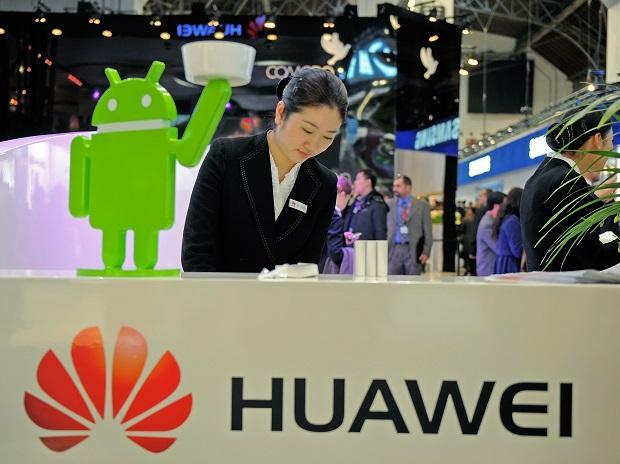 The phone, Mate X, will be compatible with the new fifth-generation wireless networks which are starting to be installed around the world, said Richard Yu, head of Huawei's consumer business group. "Our engineers worked on this screen for over three years," he said at an event to present the new phone in Barcelona ahead of the start of the four-day Mobile World Congress trade fair in the Spanish city on Monday. The phone will be available in mid-2019 and has a price tag of 2,299 euros ($2,600). Yu acknowledged the price was "very expensive" but said the company was working to lower it. The Mate X's display can fold back on itself to become a 6.6-inch display, slightly bigger than the screen on the foldable phone which Samsung, the world's biggest smartphone seller, unveiled on Wednesday in San Francisco. Several other smaller companies are rumoured to present their first foldable phones at the trade fair in Barcelona this week. Handset makers are looking to folding screens to reverse falling smartphone sales as consumers hold on to their devices longer due to a lack of innovations, but analysts predict the market for the feature will be limited, at least in the early days. Huawei, the world's second biggest smartphone maker ahead of Apple, sold 206 million smartphones in 2018, compared to just over 150 million in the previous year, Yu said.